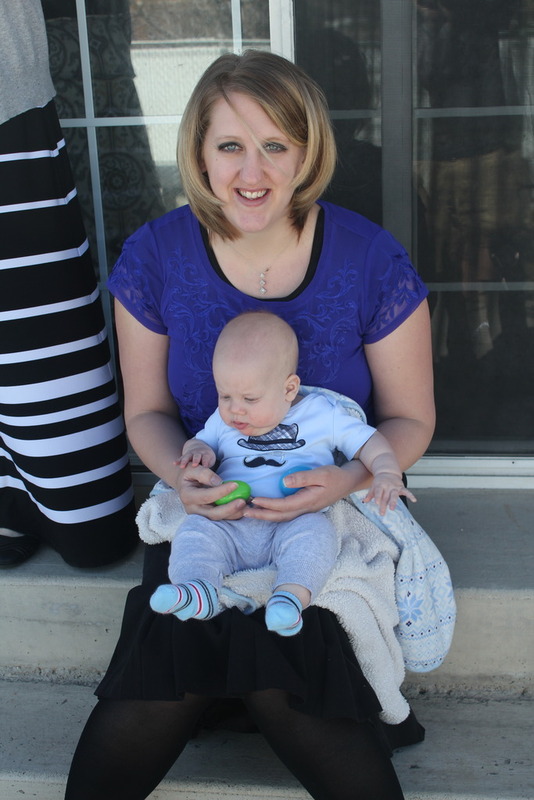 We spent Easter at Dallin's Parents house. It was fun to be there with his family for the holiday. 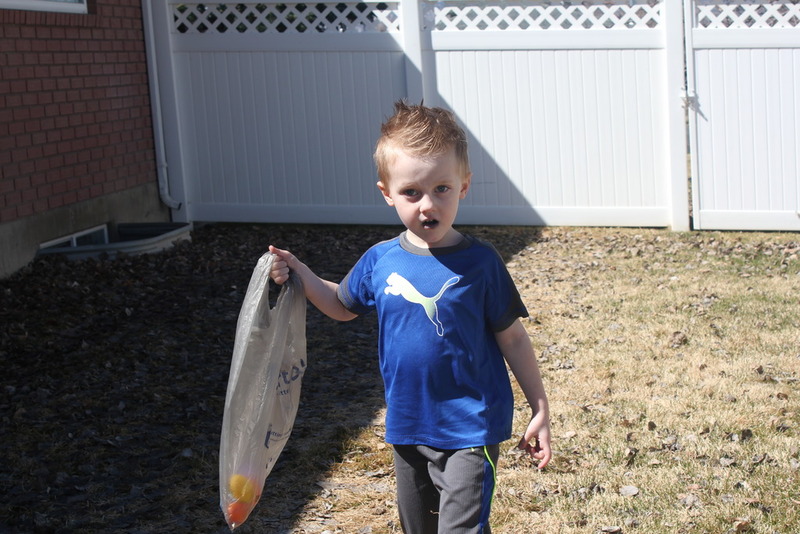 We started the morning with a little Easter egg hunt (Thanks Walmart for being open late so we could run and grab candy and eggs the night before when we actually remembered). 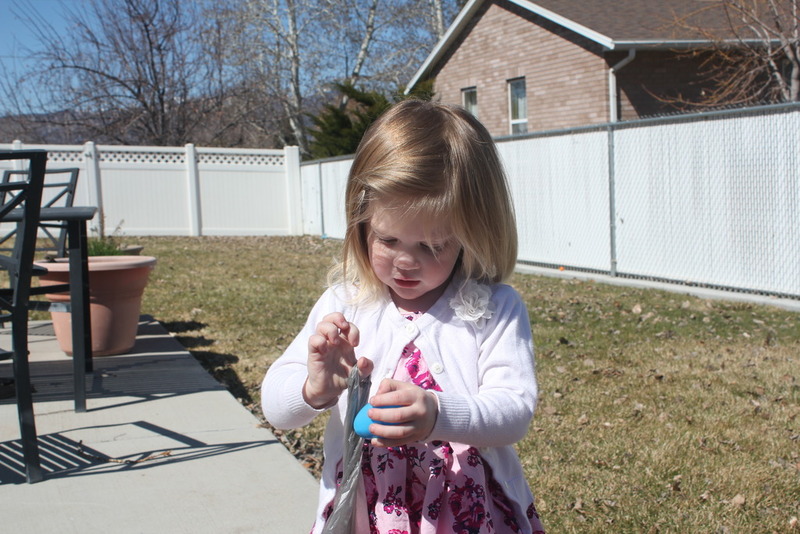 The kids loved going on the hunt for eggs, and they loved the candy inside. Who doesn't? Hudson was sidelined for this activity, poor guy. Next year little man. Next year. After church we had a delicious dinner with family, it was perfect.